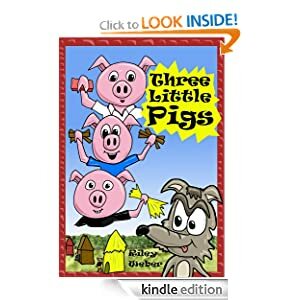 Once upon a time there were three little pigs. It was time for them to build their own homes. One pig chose to build his home out of straw. Another pig chose to build his home out of sticks. The third pig wanted a stronger home so he build his out of brick. While they were building their homes, a big bad wolf was watching them. He was hungry for pig! The wolf then trys to blow each home down. He successfully blows the first two pigs homes out of straw and sticks. However, the wolf has a hard time with the brick home. He can't blow it down, so he trys to find another way in. The wolf climbs the home and finds a hole in the chimney. Down he climbs and into a big pot of boiling water. The wolf is history! Enjoy this story and pictures! 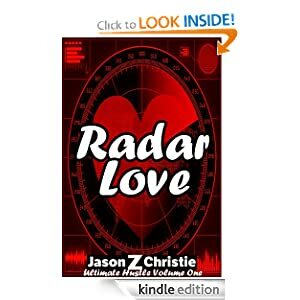 Radar Love introduces you to Chris and Janique, two hard loving anti-heroes who are so in love, they'd rather rob stores and banks than spend their days apart. It's all fun and games until they end up in connected prisons. Now it's up to Chris to get them out again, using only brutality, heroin, and a book by Tom Robbins... An epic love story, first in the Ultimate Hustle series. A Mac Faraday Mystery Short Story. "Today is going to be your day, you lucky dog," Lance Collins thought while waiting for the Spencer Police to notify him about his estranged wife's sudden death. He has planned the perfect murder to inherit her massive estate. 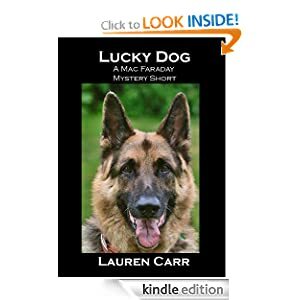 One thing Lance hasn't planned on was Mac Faraday and his German Shepherd Gnarly. Gnarly hates murderers, especially dog hating murderers. Today is going to be one lucky dog's day. But which one? The Box Of Mirrors is a short, surreal comedy novel about the time that Sebastian England found that he was held against his will inside his own head. The story follows the actions of the various departments and workers inside Sebastian's head as they scramble to save their town from the cataclysm that is about to be unleashed. In a broken, disjointed, often badly informed manner, people like Courier, Archivist and The Agent do their utmost to avert the coming disaster, but their efforts are hampered by the minions of Despair. Will Sebastian figure out just why he's stuck in his own mind before the town's lights go out forever, or, will his crushing ineptitude see him still clueless even as the axe falls? 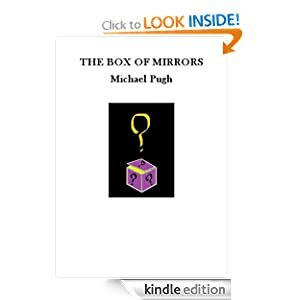 The Box Of Mirrors, written in 2004-2005, was the last novel that Michael Pugh wrote before his brain injury and so it reads very differently to his more recent ebooks. This ebook contains swearing and scenes of a violent nature and so is not suitable for children.